Carlos, Yvonne, Jessica, and Claudia. 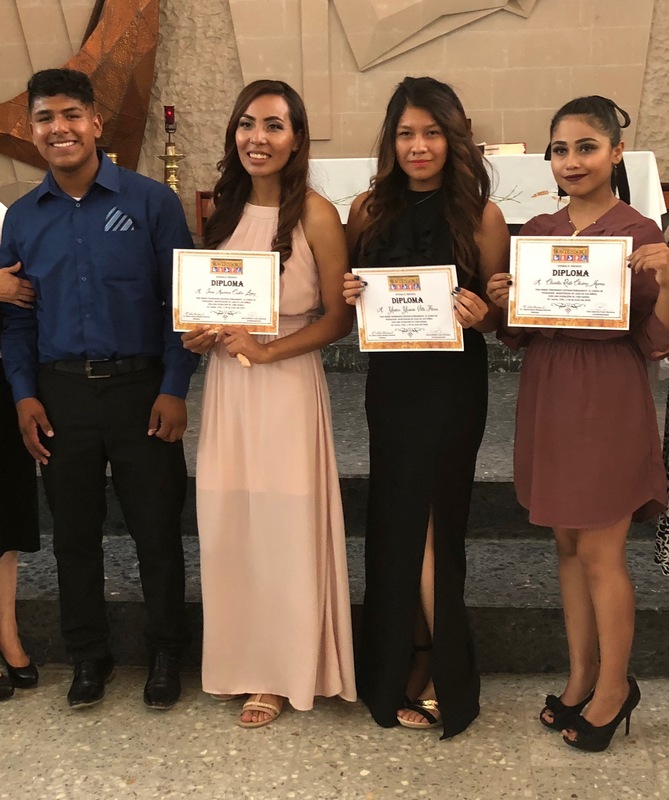 As students head back to school this month, we wanted to share with you about four very special students from our ministries in Juarez, Mexico. Carlos has been a part of our Las Alitas ministry for many years, and Yvonne, Jessica, and Claudia all grew up around the Lord’s Food Bank. In fact, the three girls actually attended our Montessori kindergarten at the Food Bank when they were little. These young people all graduated from high school, which was no easy feat. Coming from very poor homes, their families have received weekly groceries from our food distribution ever since they were little. After high school, these determined and hardworking youth wanted to continue their education and asked us for help in doing that. We used money from a scholarship fund that a generous donor has set up for this purpose. They all chose to become teachers. They carpooled together, studied together, and encouraged one another through the intense two-year program. And this June, all four of them graduated as certified Montessori schoolteachers.